St. Patrick's Dinner Dance will be Saturday, March 16. A tradtiional corned beef dinner will be served. Live Music begins at 6:00. Tickets are $25, $30 at the door. Contact Rod Metoyer, 408-966-0034 for reservations. Children's Religious Education is available. The classes are offered at 9:00 every Sunday during the school year. Please contact Judie Kolbmann for more information and to register your child. Parish Bulletin If you have information for the bulletin please contact by email: Kimberly Cakebread Material must be submitted the Monday before the weekend. Photos - from the Golf Tournament has been posted to the Photo Galleries. If you have photos you would like to contribute, please let the webmaster know. Thank You! 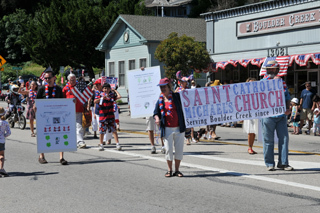 - A special THANK YOU to the parishoners who walked in the 4th of July parade. Everyone enjoyed the fun, let’s do it again next year. Thank you again! 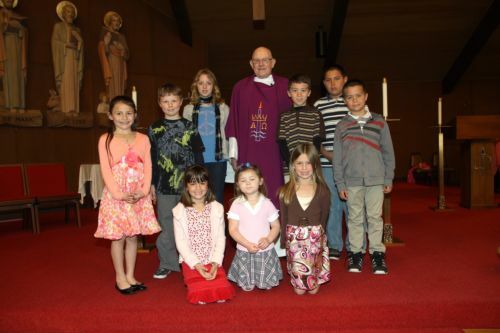 These children collected $650 by baking cookies etc, which Fr Clark is going to send to CRS for the needs of the Japan children. 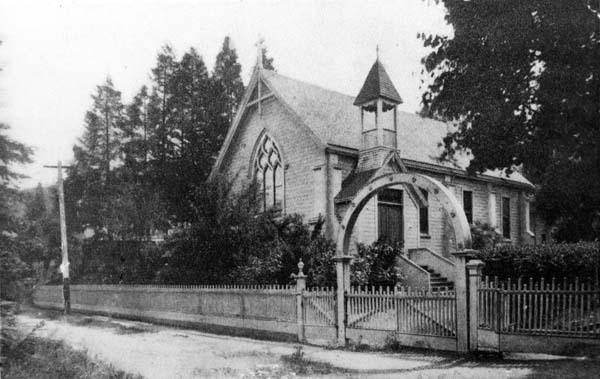 Old St Michael's Church, circa 1910's - photo courtesy of San Lorenzo Valley Museum in Boulder Creek - has been added to the history webpage. Rectory Garden Cleanup Photos - The rectory garden gets a much-needed makeover! See the photographic proof at the Parish Photo Galleries. Please help! We are currently working on documenting the history of St. Michael's Church in Boulder Creek. Should you have anecdotes, stories, experiences, or old photos that documents the life of the parish, please contact Marie Puccinelli (831) 338-3483 or the webmaster. 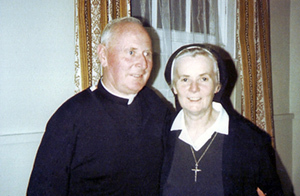 We would be mighty grateful if you can help fill in the historical narrative for our parish..